Last month my family had the opportunity to review Uncle Ben's Whole Grain White Rice and, as I knew would happen, we all really enjoyed it. 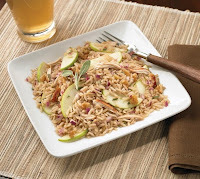 Whole grains with the same great taste of white rice that we were used to? Well, of course we liked it! So when I was presented with the opportunity to sample a few of Uncle Ben's selections of brown rice, I thought it was a wonderful way to bring in its numerous health benefits to our table as well. Plus, along with their traditional brown rice, I was interested to see that Uncle Ben's now has options that cook in less time (I never plan meals far enough ahead to factor in 30 - 40 minutes for rice). 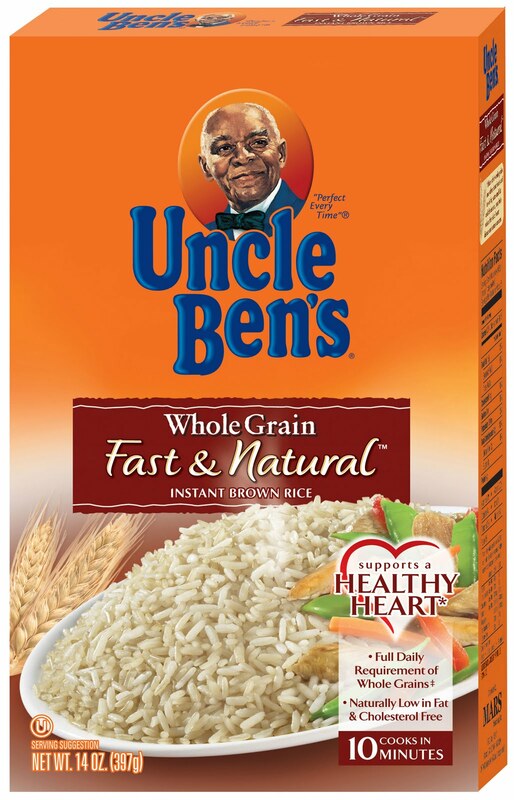 Enter in Uncle Ben's Natural Whole Grain Brown Rice, Fast & Natural Instant Brown Rice and Boil-In-Bag Whole Grain Brown Rice. With one cup of brown rice meeting 100% of our daily grain requirement, supporting a healthy heart and providing large amounts of iron and fiber, it is a great item to serve (whether as part of the main meal or as a side dish). And now that Uncle Ben's has made it possible to decide which type of brown rice works best for your family, it's easy to include it much more often. 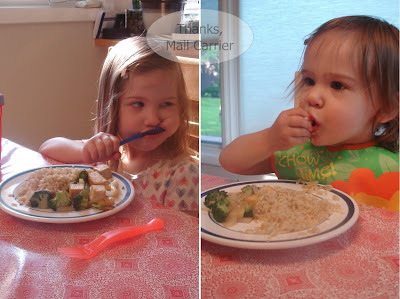 Around here, we love our stir fry. So, in a great way to test out how well Uncle Ben's brown rice compares to their white rice, I made a similar meal as I did last month. With both the Fast & Natural Instant Brown Rice and the Boil-In-Bag Whole Grain Brown Rice, I loved being able to toss the rice in the water and know that in 10 minutes (the length of time it took me to prepare the rest of the meal) it would be ready to eat. Can't beat convenience! Not necessarily happy to have their pictures taken while eating, though. Uncle Ben's also offers a wide variety of recipes to suit your family's tastes, not to mention to showcase the versatility of using rice in your meals. Just in time for summer, they've even included some new ones utilizing their Whole Grain Brown Rice (that could be followed as-is or adapted for individual preferences), such as Chicken & Brown Rice Sloppy Joes, Chicken, Apple and Walnut Brown Rice Salad or Mediterranean Stuffed Portobello Mushrooms. For a convenient, well-balanced meal that is low in fat but still delicious enough that your whole family can enjoy it, Uncle Ben's Whole Grain Brown Rice varieties are a great addition to your kitchen. They're sure staying in ours! And why not take advantage of a discount when buying them? Head over to Uncle Ben's and print off a coupon to save a little money on any of their great selection of rice products today. All we use in our house is Uncle Ben's! We love the white rice and have used it for years, but I just found out (on another blog as well) about the varieties of brown rice that they also make. I can't wait to try them! Great tip!!! Thanks so much!